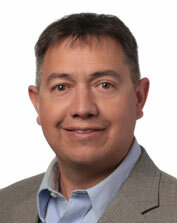 Noel Baca has over 20 years of building experience in the Pacific Northwest. He holds a degree from New Mexico State University in Civil Engineering, and is currently licensed to practice both civil and structural engineering in Washington and California. Prior to joining the Evergreen team, Noel spent the first half of his career working as a structural designer and project manager for a number of multi-family projects throughout Washington, Oregon, and California. In 2008, Noel shifted his focus from design to construction, working as a project manager for a Seattle-based general contractor managing several mixed-use / multi-family projects valued at over $50 million dollars. Noel's combined background in both design and construction gives him the ability to understand the complexities of building design, and use that knowledge to optimize constructability while maintaining quality in production.